This recipe is EXCEPTIONALLY NOT I.C. Safe. I’m keeping this up for people searching for this recipe, but please don’t make it if you have an IC bladder. 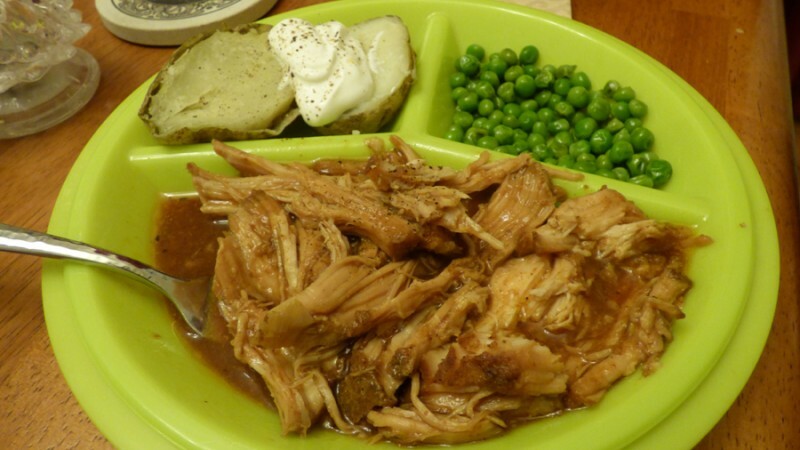 This is a great entree from America’s Test Kitchen via the slow cooker. It is quick to assemble, but it’s just a waiting game in two stages. First the spice and refrigerate overnight waiting game and then the slow cooker wait. Pay attention to trim and quarter the roast. I bought two 2.5 lb. roasts and halved them, but you can purchase a 5 lb. roast and quarter it – if you can find it. We could only find 2.5 lb-ers and 8 lb-ers. I omitted the cayenne pepper and it was just fine. Enjoy! To un-carb-ify it, I didn’t opt for a bun. It would have looked better in the photo, but it is what it is. –Honestly, I didn’t go through the braising liquid step. Maybe next time! I was tired and didn’t want another step. It was just fine without doing that process, but next time I’ll try it. Combine brown sugar, paprika, garlic powder, onion powder, cumin, cayenne, and 1/2 tsp. salt in a bowl. Using fork, prick pork all over. 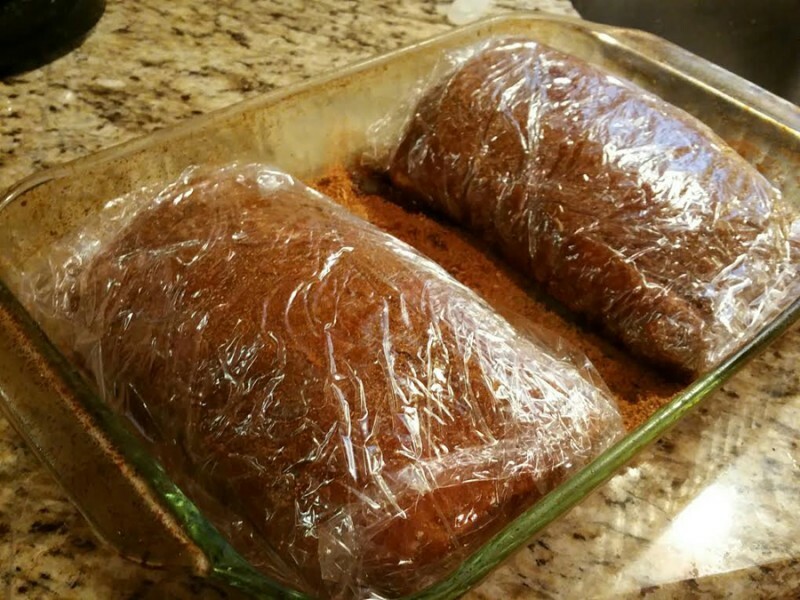 Rub sugar mixture over pork, wrap tightly in plastic wrap, and refrigerate for 8-24 hours. 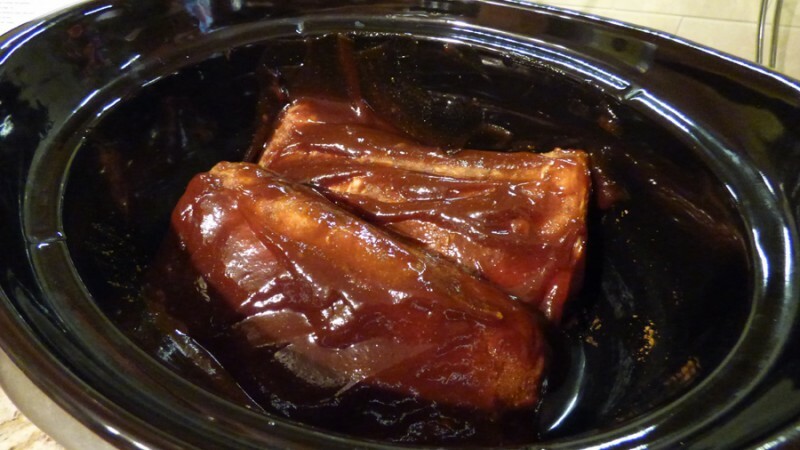 Unwrap pork and place in slow cooker. Spread BBQ sauce evenly over pork, cover, and cook until pork is tender 9-11 hours on low OR 5-7 hours on high. (Mine took about 8 hours on low in my Crock Pot). Transfer pork to large bowl, let cool slightly, then shred into bite size pieces, discarding excess fat. Cover to keep warm. Let braising liquid settle for 5 mins, then remove fat from surface using a large spoon. Season with salt, pepper, sugar, and vinegar to taste (if desired). Toss shredded pork with one cup of the braising liquid, add more liquid as needed to keep meat moist. Serve with BBQ sauce. This entry was posted in Entrees, Slow Cooker. Yum. Worked great. Thanks for posting. Tiffany is apple-cider vinegar tolerable for IC? I saw this recipe and would love to try it, but am not sure of using the vinegar and bbq sauce due to the vinegar. Are you able to tolerate it. Your thoughts would be nice. Oh you’re so welcome! I’m glad someone is using these recipes! I’m replying to all your comments, but just a quick note – not all the recipes are safe on my IC blog. It actually was my regular cooking blog before my IC got so bad where I have to eat very bland foods now. So, I am debating deleting the non-IC friendly recipes. So please tread carefully if you’re extremely food sensitive like me. Please message me about an ingredient and I’ll tell you how I personally tolerate it. I know – hope is something you *definitely* need with this condition! Hugs! I’m actually going to delete this recipe after you read this comment. It’s too unsafe for IC. Hi Tiffany! Thank you for answering my questions. Please don’t delete any of your recipes. They are wonderful and you’ve put a lot of hard work into this beautiful blog. As for Specific ingredients. I’ve found some ways to make substitutes for ones I know I can’t tolerate. I think your recipes are safe. As You’ve stated my IC is not your IC, and that each of us with IC are different in our sensitivities and should adjust the recipes accordingly. I agree whole heartedly!! The reason I asked about the vinegar is that I’m like everyone else with IC. I’m sensitive to vinegar and I’ve never experimented with it since I read that vinegar could cause some to flare. But I’ve listened to others on YouTube with IC who sware by their use of Apple Cider vinegar as a way to heal. Since you had apple cider vinegar in your recipe, I thought maybe that you had such luck. I thought maybe it was different from other vinegars. If so, I thought I might try it. I have looked up the PH value on various vinegars. White Vinegar rates a two (equal to acid rain) and rice wine vinegar not so much, rates a 3.5 ph. One day I may get bold to experiment, but for now I learning to improvise. Keep up the beautiful work here. I love and look forward to using more off them. I’ve also had some ideas of adding prelude to rice wine vinegar before I add to recipes to see if it will increase the PH and allow me today it in small quantities. I’ve also had an idea in adding Prelief it a calcium supplement to rice wine vinegar before I add to recipes to see if it will increase the PH and allow me to tolerate it in small quantities. Just an idea.